Clean, classic lines and contemporary elegance combine in the Fleurco Signature Catalina Sliding Tub Enclosure. Its space-saving design features two sliding tub doors with right or left opening mechanism. The square sturdy frame comes in a bright chrome or brushed nickel finish to add a decorative touch. 1/4 inch tempered glass construction with either clear or raindrop glass texture keeps the bathroom space airy and luminous. 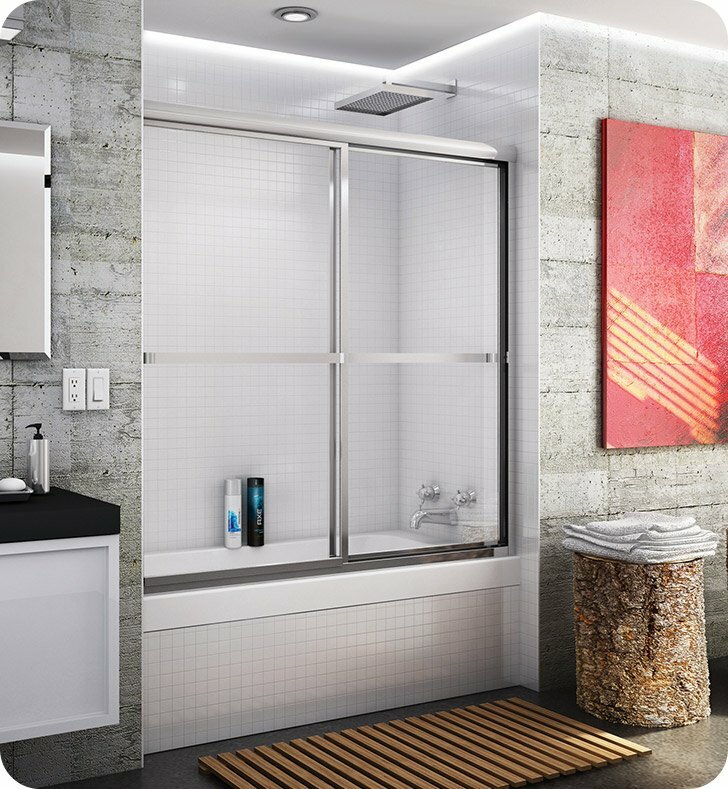 With the minimalist profile and cleverly designed features this bathroom device will fit in with most bathroom stylings, providing longevity and eye-catching appeal.